Last week I spend full day for selecting 7 super shots and today I want to join another competition – Capture the Colour Photo Contest by TravelSupermarket.com. You need to publish photos that captures Blue, Green, Yellow, White or Red colours. But you can enter competition even if you don’t have photos for all 5 colours as each colour has it’s own judge and will be winner in each colour category. To win main prize you must publish photo for each colour. Category winner will get iPad 3 and overall winner will receive a £2,000 cash prize to spend on travelling. Entries must be submitted by 29th August 2012. Here are my photos. Please click on image to see large picture. I love scuba diving and the first thing in mind about blue colour was water. 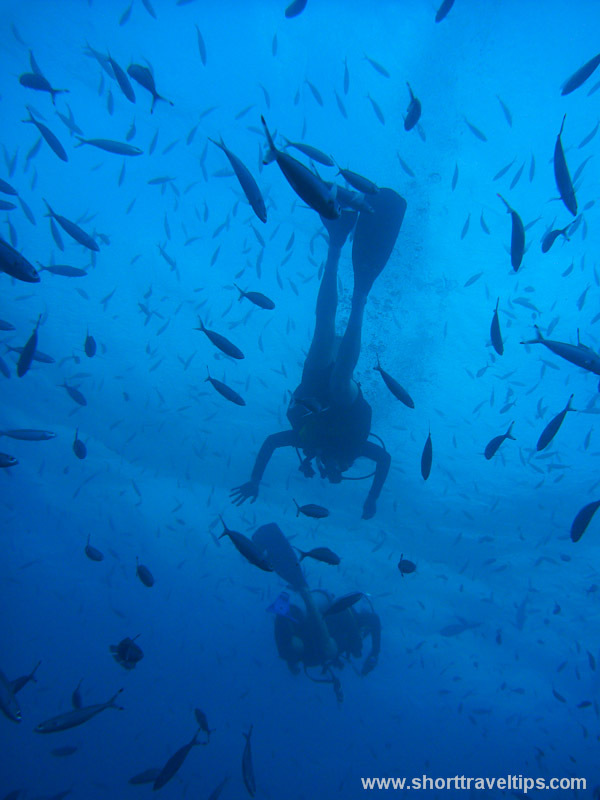 It is such amazing feeling of freedom underwater with all fish around you. This photo is one of my favorite pictures from the trip to New Zealand. 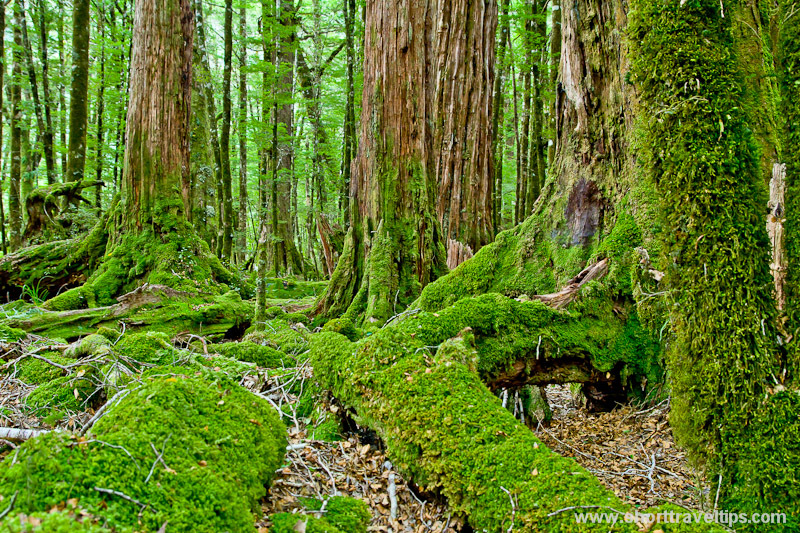 There is so much green colour in NZ. Especially on the west coast of South island because of rain. That part of New Zealand even has its own nick name – Wet Coast. I don’t think you need an explanation why it is called like that. There is no much yellow in this photo, but that small yellow flower is so visible in the pink crowd. How did it get there? I never though the desert can be such colorfully beautiful. 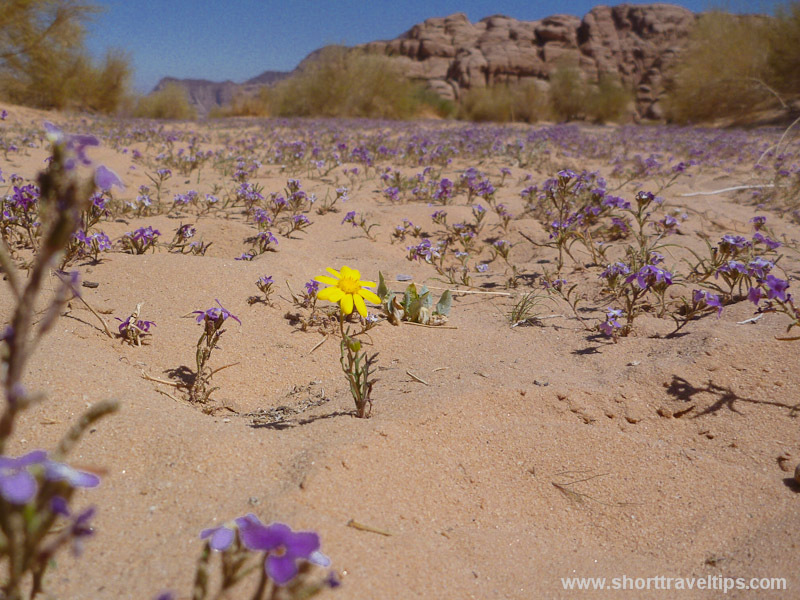 That is how looks Wadi Rum desert in Jordan in the spring. What can be white? Snow, sugar, clouds…But in Australia it is sand. These curvy dunes are located on the border between South and Western Australia near Eucla village. This is one more picture from Australia. In most parts of Australia there is no 4 seasons and it is something special to see such colours there. P.S. Important note: you don’t need to be nominated to participate in this contest. Love that sand dune shot. Beautiful in its simplicity! OMG I so love your shots!!! So love your pics! I don’t think my photos qualify, they’re not so vivid. Thanks Kit. It will be interesting to see your submission. Thanks for the info, Vi! These are absolutely gorgeous photos. I’m not sure mine qualifies for this contest. It looks like a fun post though. I love the white and green pictures. The white sand just doesn’t seem real. But that white dune is real. It is just difficult to capture white colour, because camera has difficulty to lock focus on pure white objects. I have more pictures from that place, but this one is my favorite. Your pictures are beautiful! I especially liked your “green” entry. Then I got to white. That one is special! thanks for the info to join,i’m not sure if i am really qualified to join the contest. Mhie, you don’t need any qualification, just select pictures and go for it. I love the green color! I feel calm seeing nature in full green. Great list! i enjoy it! My favorite one of yours is the yellow flower standing out in the middle of all those purple ones. I love that photo of blue… It looks as though the person is just falling deep into the water. Gorgeous. Great shots indeed!! Nice, Fun contest. You definitely will like Australia, though you need a lot of time to see it. It took three months to drive around Australia, but I still didn’t everything. Great work! I especially love the blue and yellow shots. We’ve been tagged a few times, so we’re posting our entry today. thanks Bret, will check your blog later today. I love the photo for the yellow entry. Autumn colours are such a treat in Australia, but the blue and white image of the dunes is simply stunning… and the yellow flower all on its own soooo cute! I also love the yellow flower photo. The contrast of the single yellow one amongst all the purple flowers is beautiful! Thanks for nominating me, Vi. Should be fun to put this together. Your selections are great — especially like the red leaves. Thank Cathy. It will be interesting to see your photos. 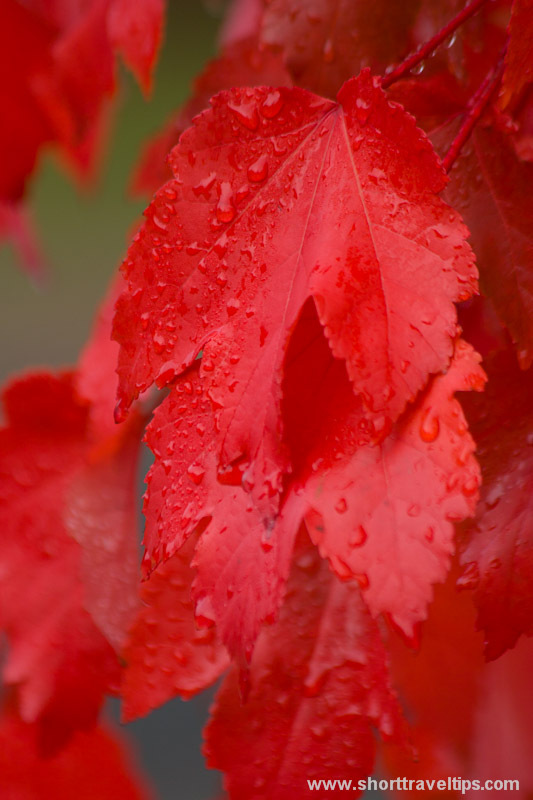 Love the autumn leaves – good luck – photos are fabulous. Thanks also for dropping by to see my entries. Wowsers. Your white shot is just amazing. It’s almost impossible to tell what it is. Thanks Nisha. I read somewhere that beaches in Jervis Bay (South of Sydney) have whitest sand in the world. Had you been there? 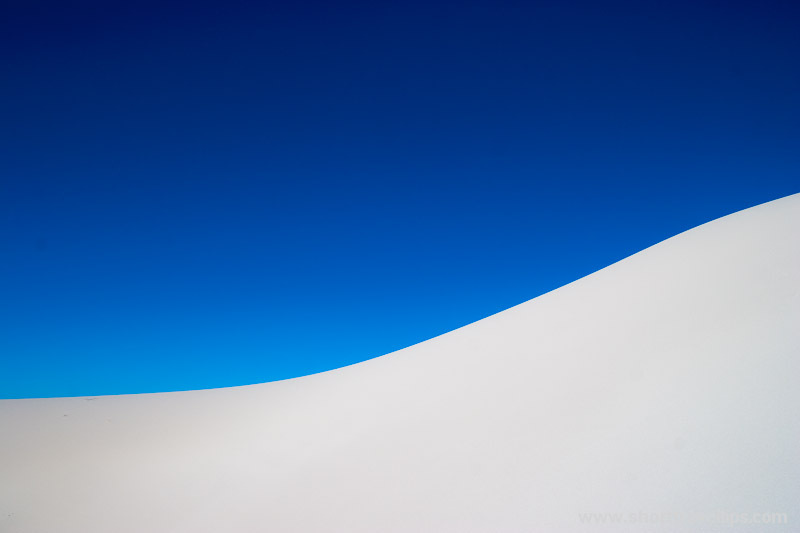 Love the white sand dunes and blue sky image. The curving line and stark contrast between the colors of the sand and sky make for such a striking abstract image. What amazing photos! They are all beautiful but I agree there’s something about your white entry that’s just special. It looks so clean and peaceful. How wonderful to be able to see this in person. Great photos. Especially like the scuba. But howabout making things a bit more challenging. Purple? Black?